Los Angeles based producer Nick Alvarado and vocalist EVeryman have teamed to form Little Giants, who aim to make proper hip-hop music for your mind, body and soul. Pairing inspired, thought-provoking lyrics set over crisp, funky beats, the sounds of Little Giants harken back to the golden era of hip-hop. 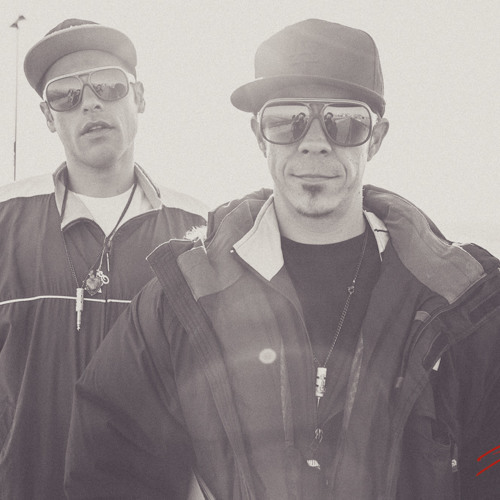 After their initial collaboration on the track, “Good Day,” off the debut EP from Alvarado’s popular alias, Pumpkin, the duo bonded over a mutual love for the classic hip-hop they grew up listening to from the likes of, A Tribe Called Quest, the Beastie Boys and Jurassic 5, along with each spending endless hours crate-digging for old records to sample. In tribute to those sounds that shaped their youth, they teamed up for the well-received, “EVery Summer Mixtape,” which saw the duo further demonstrate their strong creative chemistry with a fresh mix comprised of classic hip-hop beats expertly reconstructed by Alvarado which paired with all-new vocals from EVeryman. On the debut Little Giants album, “Don’t Quit,” Alvarado and EVeryman have created a strong opening statement comprised of all original tracks that will have you reaching to turn the volume up while singing along to EVeryman’s catchy choruses.